Ogni giorno offriamo programmi GRATUITI che altrimenti dovresti comprare! 8bitWar puts your strategical and tactical thinking to the test! è disponibile come Giveaway of the day!L’offerta per scaricarlo e installarlo è limitata. 8bitWar puts your strategical and tactical thinking to the test! Hire units and place them in strategic formations to counter the enemy army. A total of 180 levels! Play against a friend on the same device or online! Inviami notifica di risposte da altri utenti. 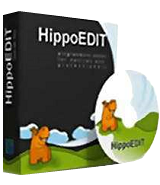 Text editor Windows per programmatori e utenti esperti. © 2006 - 2019 giveawayoftheday.com. Tutti I diritti riservati. Brevetto in sospeso.